Dave was a local lad who showed a lot of promise in the Cradley training schools, regularly scoring double figures in the school matches. He showed such promise that he was found a place on the Ivan Mauger training school in 1972/3. Unfortunately Dave found it very tough in the Cradley team in both 1972 and 1973 with his best score of 6 +1 bonus in the British League match against Wolves on 16th July 1973. 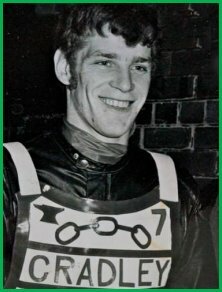 He rode his last match at Reading on 13th August 1973 with no-score from 1 ride. He went out on loan to Long Eaton in 1974 but had a poor run there too despite scoring 8 paid 10 from his first match. It frustrated everyone when he failed to score in the match but got to the Final on a number of occasions in the second half. He retired from racing later that season. Dave took up Scuba Diving after retiring from speedway and did this for 30 years around the coast of Britain and abroad. He went to New Zealand for 3 and a half years before returning in 2007. Dave is also uncle to former rider Dean Felton and helped as a mechanic to Dean for a number of years. 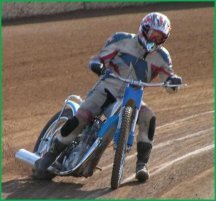 He still has a couple of bikes and competes in the Uprights section in the Amateur Racing at Scunthorpe with some success too.